Do you like what the co-hosts are wearing and want to know more? 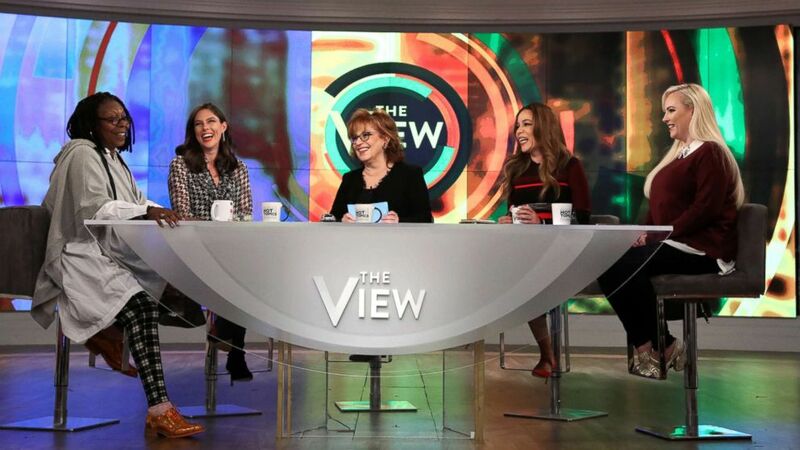 camera (ABC) The View co-hosts, from left, Whoopi Goldberg, Abby Huntsman, Joy Behar, Sunny Hostin and Meghan McCain. Do you like what the co-hosts are wearing and want to know more? Find out what the co-hosts wore on today's show below. Ana Navarro: Jacket by Alice + Olivia, tank from Zara, shoes from Steve Madden. Abby Huntsman: Dress by Derek Lam and jacket by Alice + Olivia.